In honor of Mother's Day and the upcoming Wonder Women movie releasing in June, SeabuckWonders would like to celebrate by offering Girly Girl readers this awesome giveaway! 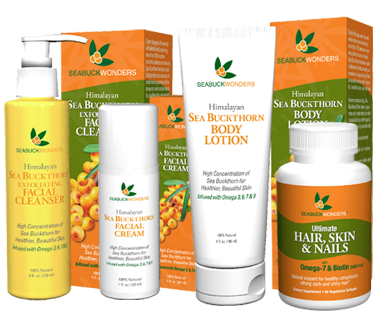 SeabuckWonders Wonder Pack is an amazing health & beauty kit that contains 4 of SeaBuckWonders fabulous products. Ultimate Hair Skin & Nails - The ONLY Hair, Skin & Nails product to contain Omega-7 AND Biotin. By combining biotin with the cell membrane nurturing properties of sea buckthorn oil, this powerful blend provides the best support for strength and beauty. Supercharged with Omegas 7,3,6,9 and more than 190 phytonutrients, this formula is the perfect choice for lasting, healthy beauty. Sea Buckthorn Exfoliating Facial Cleanser - Sea Buckthorn Facial Cleanser cleans skin gently, yet effectively, without stripping the skin of its natural oils. It exfoliates to remove dirt and impurities, while hydrating skin for a smooth, clear complexion. Unlike many other facial cleansers, SeabuckWonders Facial Cleanser is ideal for all skin types that will benefit from its remarkable nutritional properties, leaving skin feeling clean, balanced, and beautiful. 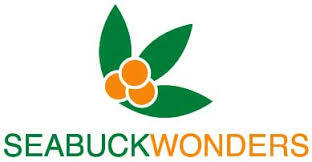 Sea Buckthron Facial Cream - Utilizing the superb age-defying properties of sea buckthorn oil, SeabuckWonders Facial Cream minimizes fine lines, while protecting the skin from the damaging effects of the sun and environmental pollutants. Sea Buckthorn Body Lotion - Intensely moisturizing, Sea Buckthorn Body Lotion rejuvenates and replenishes the skin’s natural balance, softening and nourishing for silky, touchable skin. Its high concentration of sea buckthorn oil allows for superior moisture retention while protecting the skin from signs of aging and the effects of exposure to the sun. I have shared the wonders of SeabuckWonders in the past and am so excited to give one of you the opportunity to try these high quality products, and see what all the fuss about these little seabuckthorn berries is all about. To Enter: Tell me something WONDERful about your mom. You can get extra entries for following GGG through GFC, Subscribing via email, liking us on Facebook and following via Twitter. My mom had five children and lived to be 90 years old and she was just wonderful! My mom was very thoughtful and loved to laugh. Something WONDERful about my mom is that she is very caring. My mother is the most empathetic person I know - she is wonderful! I do subscribe by email. I'm a grown woman, yet I can still go to my moms whenever I want and open her fridge and get out a snack, and she doesn't even question it. She always makes me feel comfortable no matter what. My mom is very supportive and is always there when I need her. My mother is a great cook, a talented artist, an amazing teacher and an incredibly awesome mom who loves her children unconditionally! Unfortunately, my mother wasn't a part of my life but my father did a great job raising the kids on his own. My mom will do anything for others! My mom has always been very supportive. My mother was always very supportive of me. Whatever I wanted to do whether it was with a job or a relationship, she was always behind me 100 percent! As an adult, I look back and really appreciate that! I happily follow via GFC! My Mom is so generous and caring! She's a wonderful Mom! My mom hates cooking but she loves my picky and noverbal autistic son, so she tried her best to cook many different foods for him. I am so thankful for my mom! My mom is wonderful for many reasons, but she's very funny, wise, and is a great cook! She loves to send me care packages with random things so she's very kind as well. My mother has passed. When she was with us she was a super woman. She raised 7 kids and worked 2 jobs. I miss her so. My Mom is an amazing outdoors woman! My Mom is the biggest animal lover. Just like me! My Mama was the kindest, sweetest person ever! My Mom is wonderful because she loves others and always puts them first! One of my favorite things about my mom is that she's always been supportive of my decisions...even when she didn't always agree with them! My Mother is always there if anybody needs anything. My mom was a wonderful mom there were six of us kids and she always was there for us kids. She was a wonderful cook and baker she made everything from scratch. She would bake cookies donuts or cakes every day and feed all the kids in the neighborhood snacks.